Probably you are planning to apply for housing loan. As HDMF or PAg-Ibig Fund member, you needed to meet the minimum 24 months contribution. But one of that challenges of many members specially those who are working overseas or the self-employed and voluntary members is keeping track of all payments and contributions in Pag-Ibig. Are you a Pag-Ibig member and you want to verify if your payments are updated in the system? You can do it online in the convenience of your computer any time wherever you are. To verify if your account payments or contribution has been updated. All you needed is an access to the internet. 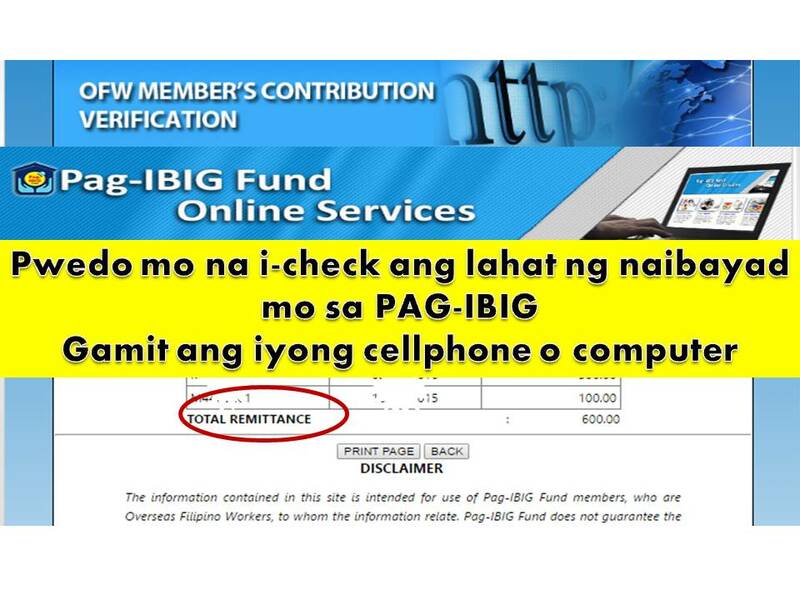 You can use your cellphone, tablet or computer to check your monthly contributions in PAg-Ibig or Home Development Mutual Fund. Click on the OFW Member's contribution verification picture. 2. It will lead you to the next page where you have to enter your Pag-Ibig MID number which you can find on your MID ID or card. Fill-up the boxes with your Pag-Ibig MID No., last name and first name and don't forget to enter the code on the lower side on the box opposite. Then click "PROCEED". 3. This page will appear showing your full name and date of birth. Below your account information you can find a link so you can view all the contributions you have made on your account. Double click on the "View Membership Savings".